Ubuntu 13.04 has already been up and running with a number of very cosmetic changes. And we've been covering every detail of the release over the past 6 months. Now it's time for another major Ubuntu release cycle. In typical Canonical fashion, the next Ubuntu (Ubuntu 13.10 ie.) 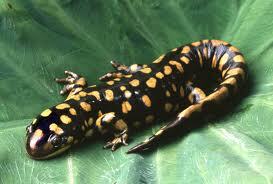 will have a quirky little name - Saucy Salamander. We believe that, improvements to mobile UI of Ubuntu Touch will be of primary importance during this release cycle. Ubuntu has a golden chance of converging mobile and desktop interfaces in an acceptable fashion before everyone else. They have all the basics done right - Ubuntu desktop, Ubuntu for mobile phones and Ubuntu for tablets - now they have to build upon it and add features. Products like Ubuntu for Android will further enhance brand Ubuntu.